How do I add an administrator to my Giving Day profile? 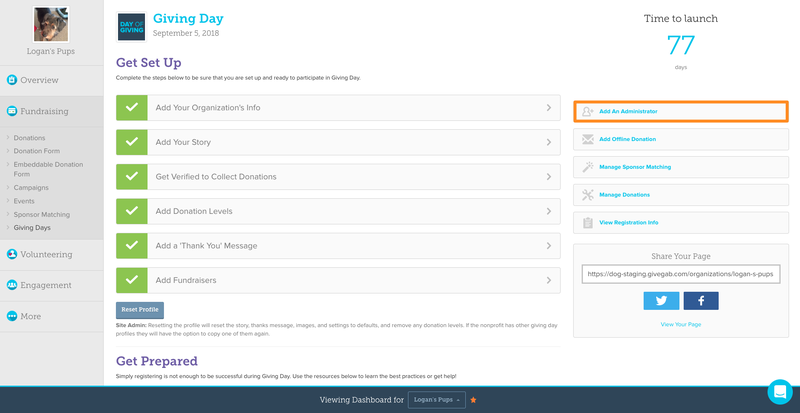 From your Giving Day Dashboard, select "Add An Administrator" on the right of the screen to invite additional members of your organizations to access this page. 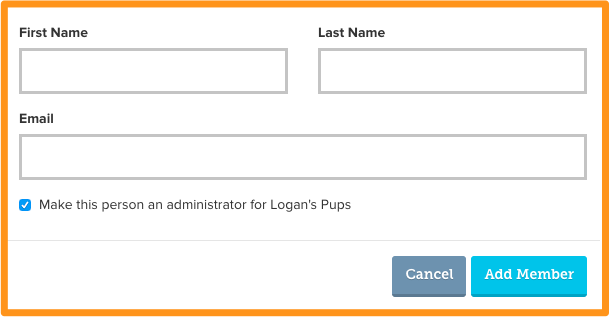 After you click "Add An Administrator" this form will appear on your screen. To add an additional administrator enter their first name, last name, and email address, then click the "Add Member" Button. Your new admin will receive an email confirming their administrative status with instructions for how to log in and access your organization's GiveGab account.